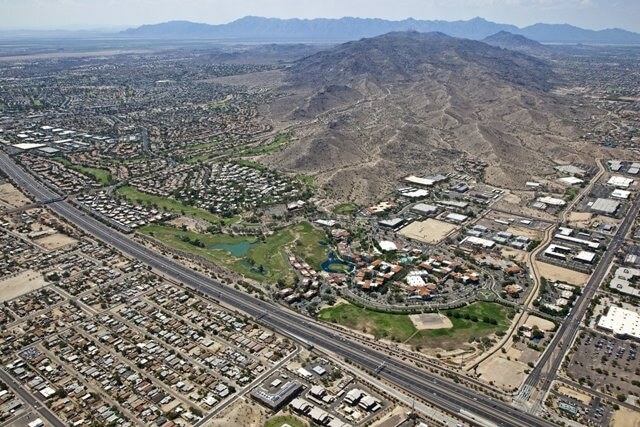 Fluor Corporation announced today that its joint venture team was awarded the design-build and maintain project by the Arizona Department of Transportation (ADOT) to provide design, construction and maintenance services for the Loop 202 South Mountain Freeway. This project is the first freeway project procured under Arizona’s public-private-partnership statute and ADOT’s first design-build-maintain project ever. Located in the Phoenix metropolitan area, this will be the largest highway project in the state’s history. Fluor will book this project in the first quarter of 2016. The project is funded by a combination of Regional Area Road Fund revenues, Highway User Revenue Fund revenues and federal funds dedicated to the Maricopa County region and ADOT. ADOT will fund the project’s capital costs with a combination of available public funds from sales tax revenues and tax-exempt bonds. The Fluor-led joint venture, Connect 202 Partners, is a design-build and maintenance partnership comprised of Fluor Enterprises Inc., Granite Construction Co., Ames Construction Inc., Parsons Brinckerhoff Inc. as the lead designer, and DBi Services, LLC, as the joint maintenance partner. Fluor and DBi Services, LLC, will maintain the lanes for 30 years with oversight from ADOT. When complete, the Loop 202 South Mountain Freeway Project will deliver 22 miles of improved mobility via four lanes in each direction – three general-use lanes and one High-Occupancy Vehicle (HOV) lane – and includes modern features of rubberized asphalt and aesthetics that reflect nearby communities. Major construction is expected to begin in 2016 with lanes opening in early 2020. Fluor Corporation (NYSE: FLR) is a global engineering, procurement, fabrication, construction and maintenance company that designs, builds and maintains capital-efficient facilities for its clients on six continents. For more than a century, Fluor has served clients by delivering innovative and integrated solutions for our clients in the energy, chemicals, government, industrial, infrastructure, mining and metals, and power market sectors. With headquarters in Irving, Texas, Fluor ranks 136 on the FORTUNE 500 list with revenue of $18.1 billion in 2015 and has 44,000 employees worldwide. For more information, please visit www.fluor.com or follow us on Twitter @FluorCorp.